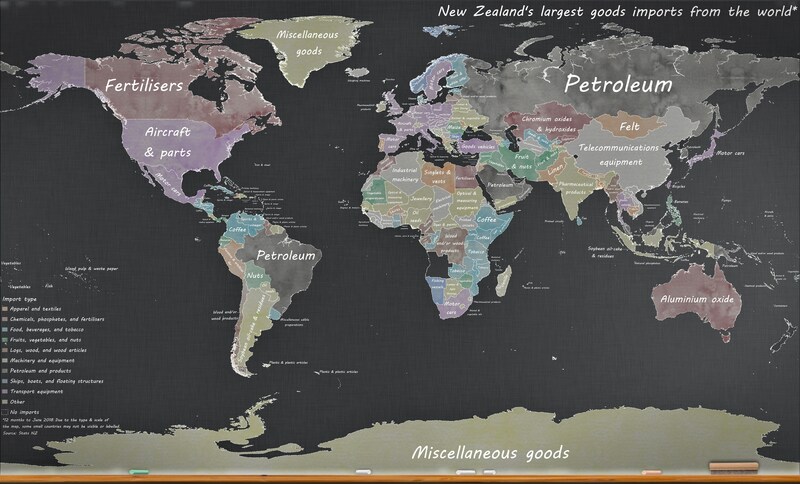 View a set of world maps that provide an easy to understand graphic visual representation of New Zealand's largest commodity imports and exports by country. Stats NZ has released a fascinating new set of world maps that reveal New Zealand's top commodity imports and exports by country. Details of each map might surprise you. Take our quick quiz below (before viewing each map), to test your knowledge. What is New Zealand's largest port? View infographics detailing the country's busiest ports by annual TEU handling. Comprised mostly of vehicles, machinery, fuel, plastics and aircraft parts, New Zealand imported $46.5 billion worth of products in the 12 months to June 2018. With an annual value of $59.3 billion in 2018, New Zealand is known for its agricultural, horticultural, forestry, fishing and mining exports. Of these, dairy products rein supreme, exporting 1.7 million tonnes of milk powder from July 2017 to June 2018. 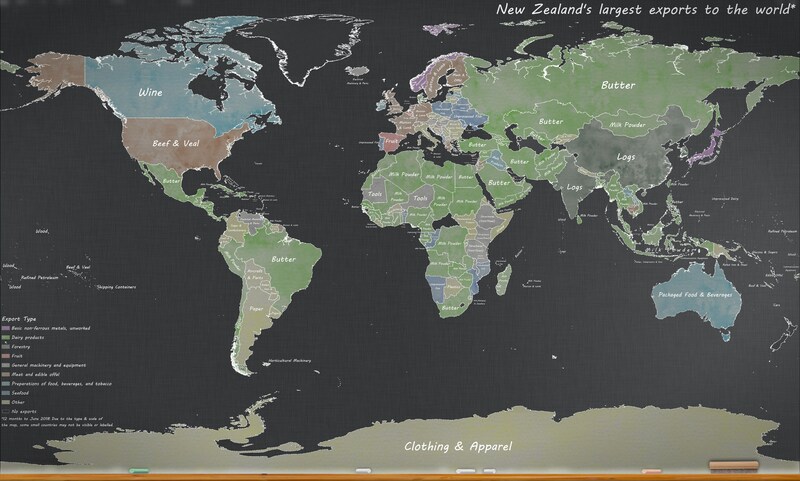 Take our quick quiz (before viewing the maps) to test your knowledge. The results might surprise you. What is New Zealand's largest import from Canada? Is it...? What is New Zealand's largest import from South Korea? Is it...? What is New Zealand's largest export to Ireland? Is it...? What is New Zealand's largest export to Laos? Is it...?